On 31 March join InspiralLondon and associate artists for a Tree inspired walk starting at Hammersmith Bridge to Herne Hill (segment 10). 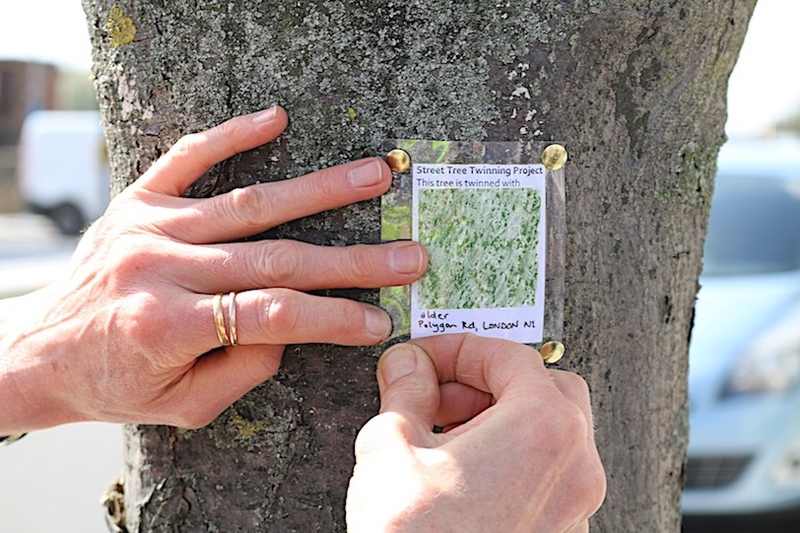 As part of Rachel Gomme’s Street Tree Twinning we will be looking at street trees, how they survive, thrive and support the health of the city, taking bark rubbings and twinning isolated trees as a symbolic reminder of the forest community they habitually live in. Meet North end Hammersmith Bridge at 11.00 am (remembering clocks go forward!) – close to Hammersmith Station/Underground. Not only will we pass the London Wetlands site but numerous copses, plantings and greenways as we make our way along segment 10 toward Herne Hill. This walk will also explore other aspects ofthe ecology and environment of SW London, along the Thames and down the Wandle cross to Wandsworth Common, then Clapham to Brockwell Park. This walk is approx. 8.5 miles – dress accordingly. Refreshments will be taken near Putney Bridge.